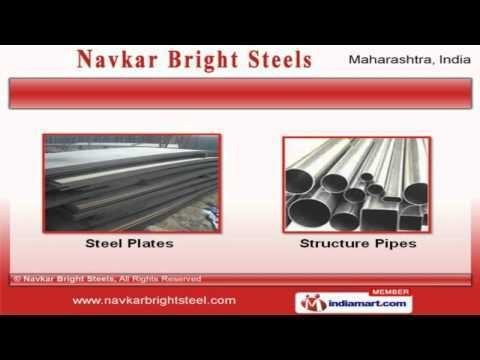 Welcome to Navkar Bright Steels, Manufacturer and Exporter of Industrial Bars, Pipes and Plates. The company was incorporated in 2005 at Pune. In depth industry knowledge and Good financial position help us to achieve a present repute in the market. We are backed by Flexible payment options; Time bound deliveries and Utmost client satisfaction. We offer a wide assortment of Bright, Carbon Steel and Non Ferrous Bars. Forged Round Bars and Alloy Steels offered by us are well known for their durability. Our Steel Plates and Structure Pipes are reckoned all over the world for their superb quality. Forged Billets and Structural Angle Channels are available with us at cost effective prices. Case Hardening Services and Stainless Steel Bright Bar for Construction Industry are a class apart. Our organization is highly involved in providing an impeccable range of Round Bar for Building Constructions and Structural Pipes for Roadway Signs.